Aptech Aviation & Hospitality Academy is the aviation, hospitality, travel & tourism, and retail training wing of Aptech, the pioneer in franchising in education since 1986. The company’s success is based on its partnership with hundreds of business partners. 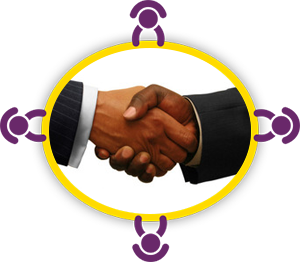 We are constantly looking for business partners who can open centres in locations currently not having a centre. The company has a proven partnership model. Both the company and the franchisee support each other in achieving business goals. We help our franchisees set up and operate their training centre to achieve maximum profit with minimal investment. Aptech Aviation & Hospitality Academy’s own customised software to ensure smooth running of operations at the centres. It helps the centres to manage all invoicing & operations online. Marketing & advertising campaigns for press, TV, internet, outdoor & radio are developed and run by Aptech Aviation & Hospitality Academy. The Academy also provides designs for advertising material such as banners, posters, signboards, etc. for use by the centres. From time to time Aptech Aviation & Hospitality Academy conducts marketing activity that generates enquiries from students interested in taking courses. The company also runs a counselling centre for handling student enquiries. All these student leads are passed on to the centre. Our business partners provide space to set up their centre and invest in making their business a success! The franchisee should own/lease an appropriately large space (typically over 2000 square feet) to start the new Aptech Aviation & Hospitality Academy centre. A central location, easily accessible by students, is preferred. The furniture & related items too are the franchisee’s responsibility. The business partner invests in promoting & marketing the centre & its courses in the city/area near the centre. This includes advertising in various media, conducting local ground events and promotions. The business partner shares a certain percentage of the income with Aptech aviation & Hospitality Academy as well as pays one-time (lump-sum) charges for the know-how. Wish to join hands with us and make big profits?